First of all …Whatcha think of my new Blog Header? I LOVE it! I have to give all the credit to my wonderful son Ty! more things he wants to add to it…but I love it just the way it is! Onto the real reason your here! Over at Just Us Girls this week Lisa is shakin’ things up! 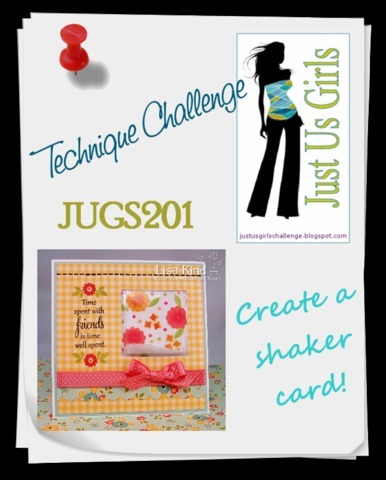 Have you ever made a Shaker Card? I have NOT! directions from This Tutorial to a tee…and used glitter instead and it worked like a charm! FYI…….sawdust doesn’t work for sand! I love the way this card came together….perseverance is the Key! the sun I just eyeballed with a small paper cutter and a little Tim Holtz distress ink! Coloring was done with colored pencil. Add a little torn paper for some sand and there you have it! 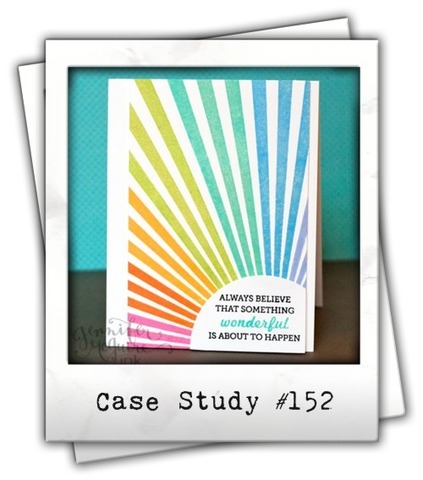 I am also adding this card to the Case Study Challenge this week. This fabulous photo is what helped me get the idea for my sun! Now it’t time to go check out what the other Girls have shakin up! Categories: Cards, challenges | Tags: Card making, Cards, Creative Memories, rubber stamps, shaker card, stamping, Thinking of you | Permalink. Your son did good!! Fun new header. LOVE the shaking going on in this post. Fabulous inspired card! First, I love your new blog header. Your son did a great job. Your card is simple adorable. 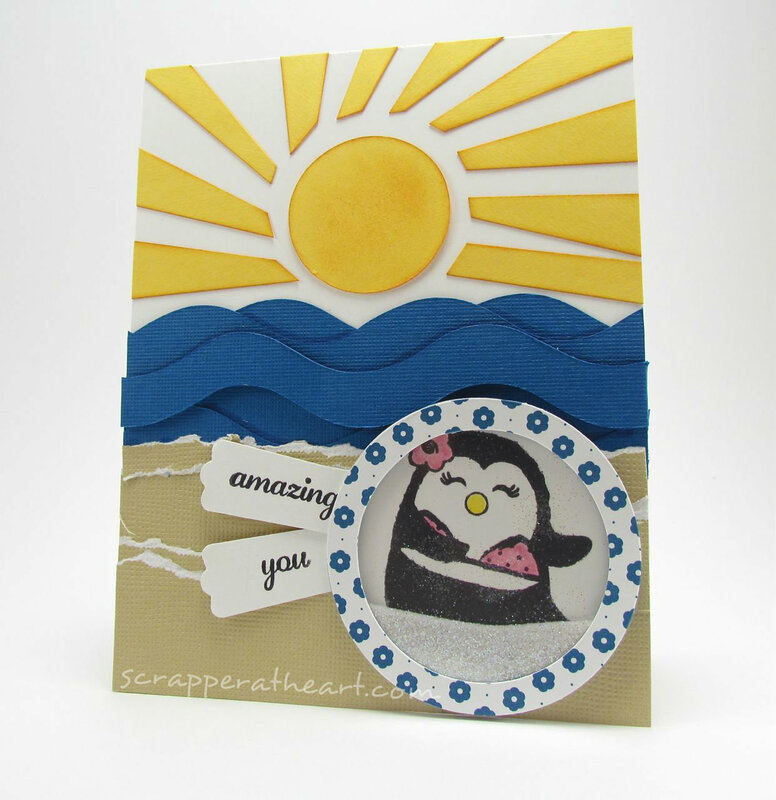 Love how you did the sun and the cute penquin shaker box. I have never done one, I guess I may have to give it a try. Thanks for sharing. LOVE the new banner ~ CLEVER son you have there! FAB card! LOVE the sun’s ray and the way you made those waves! FAB shaker card!